Many people prefer to use their personal email, rather than the given WSU email. 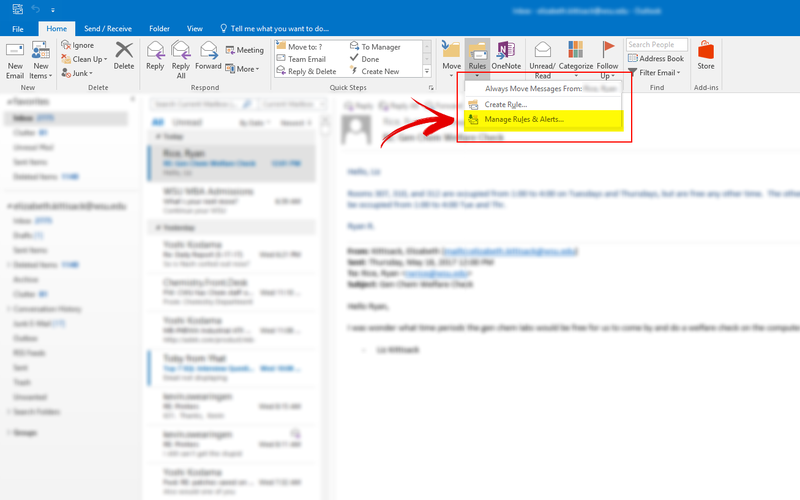 Outlook has provided a toll that allows you to check the emails you receive on your Outlook account on any other email that is preferred. 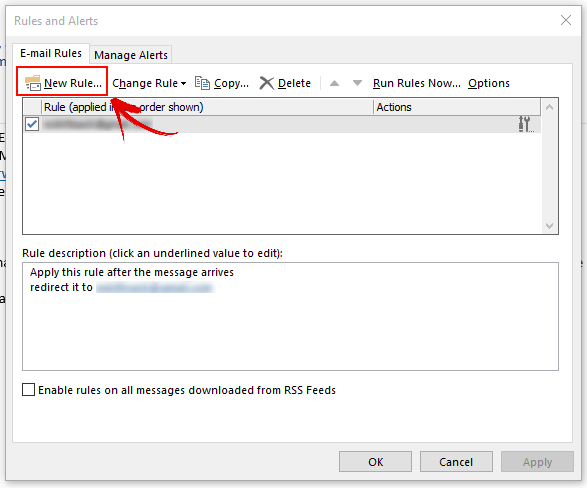 A window called Rules and Alerts will pop up. From here click on the New Rule… button to create a new rule. 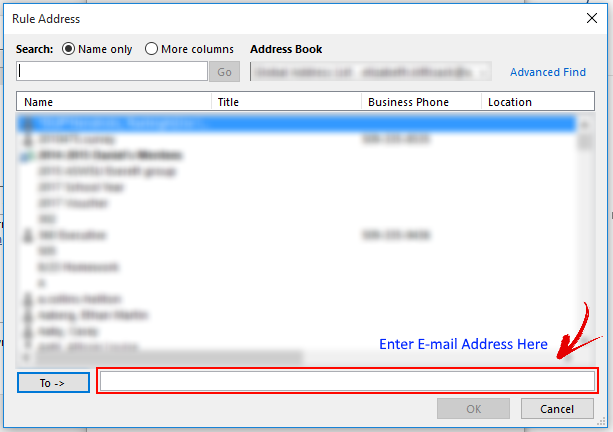 This will pop up another window called “Rules Wizard” From here it asks to select a template. 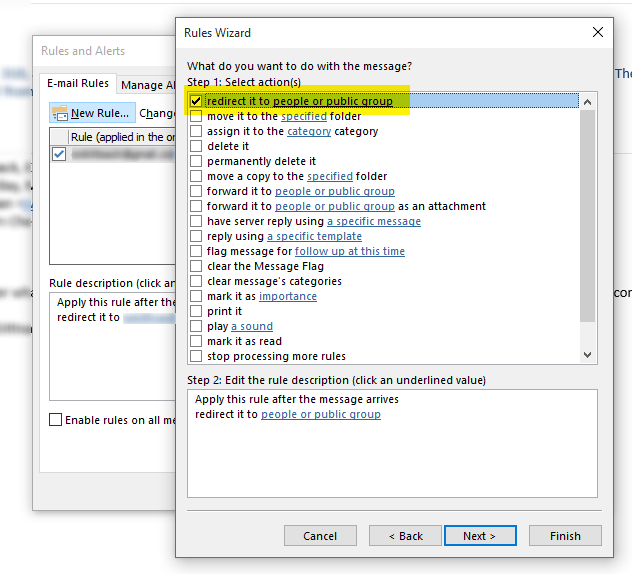 For redirecting an email, select the “Apply rule on messages I receive” and then hit Next. Now it will ask to select conditions, for this do not make any selections and hit the next button. Now it will ask to select actions. check the “redirect it to people or public group” box. Now an email must be selected to be directed to. To do this click the blue text that says “people or public group.” This will pop up a screen that asks for the desired email. Enter the forwarding address in the bottom text box. It will now ask to select exceptions, do not select any of these, and just hit next.